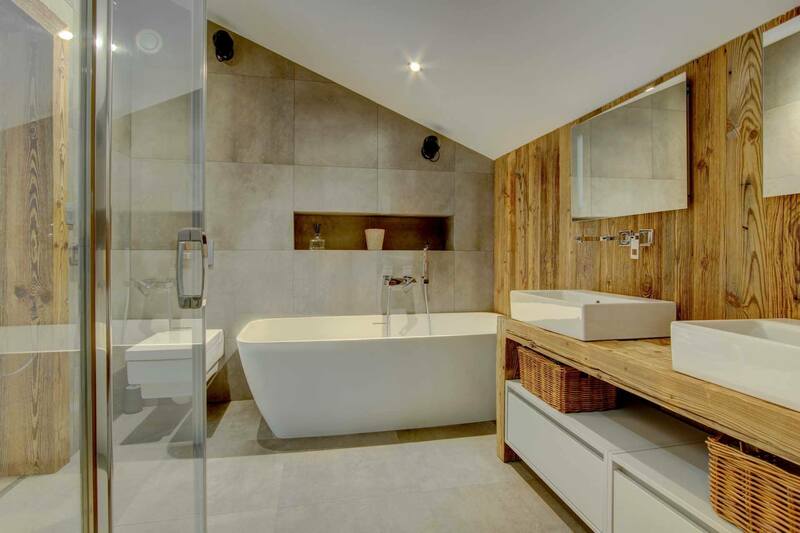 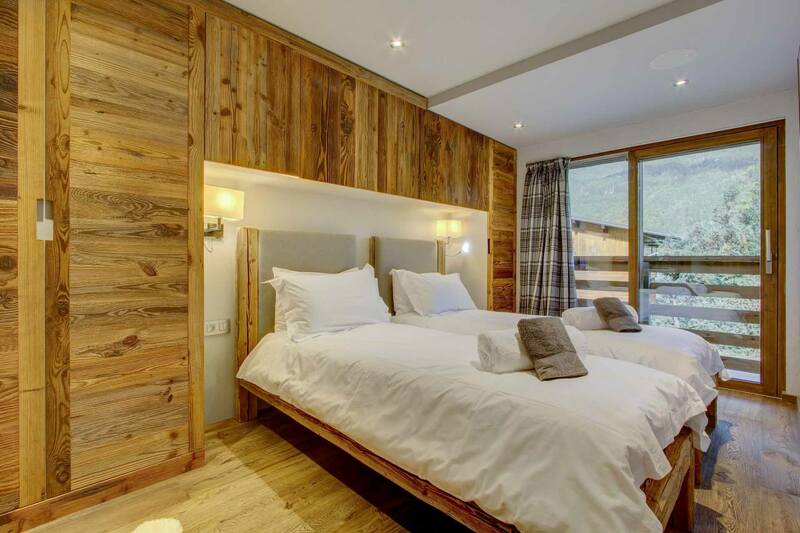 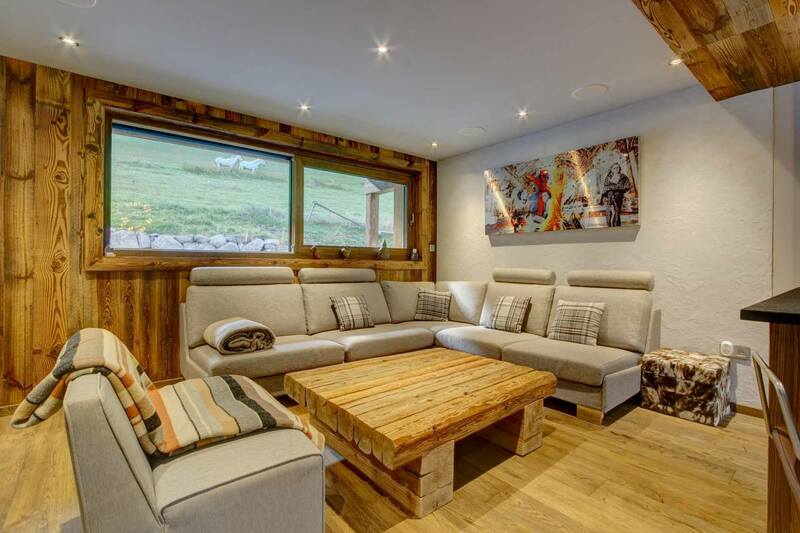 A unique, stylishly designed chalet on 4 floors and perfectly located on the lower ski slopes of the Pleney mountain. 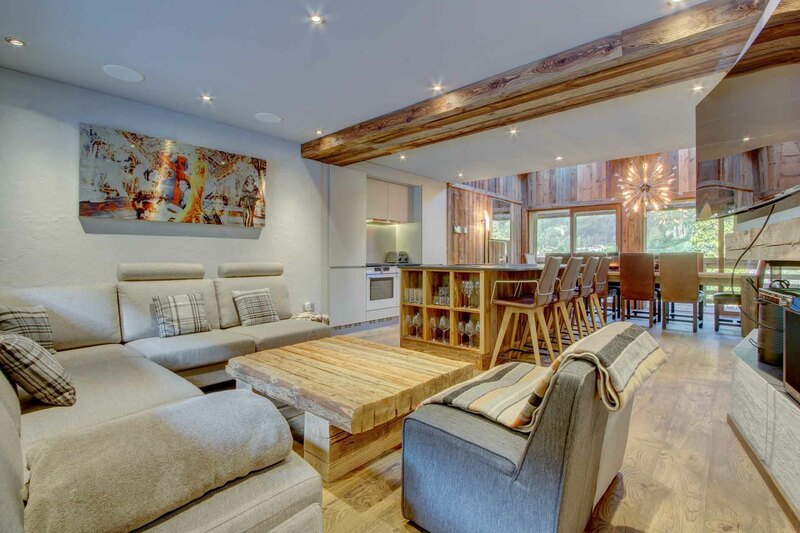 This modern chalet has been thoughtfully planned and laid out with a state of the art music sound system. 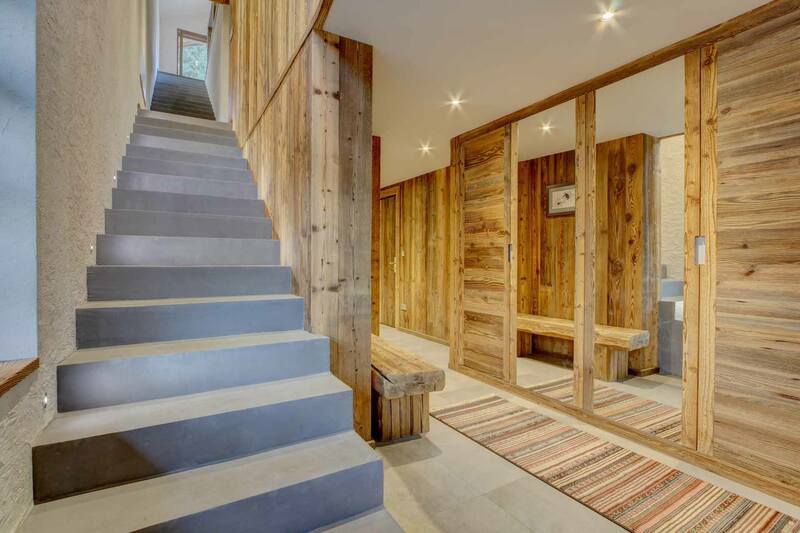 The beautiful living area extends the whole of the first floor. 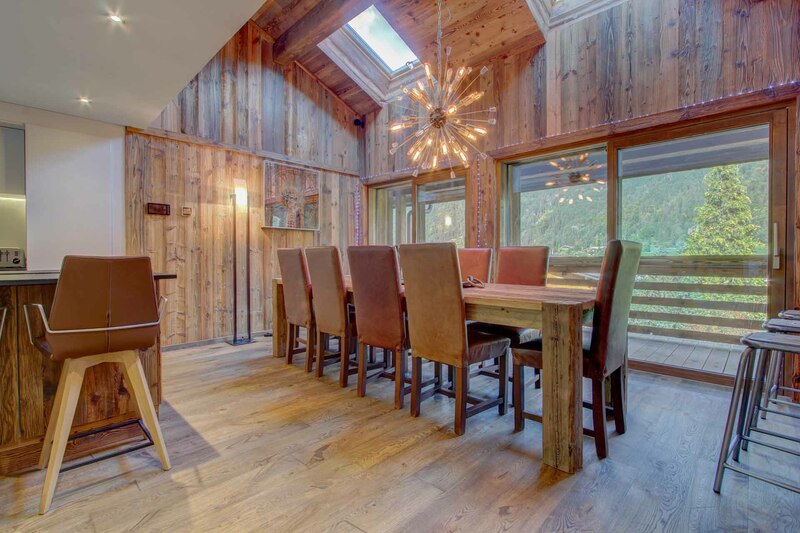 There are huge windows at each end and double-height windows over the dining area. 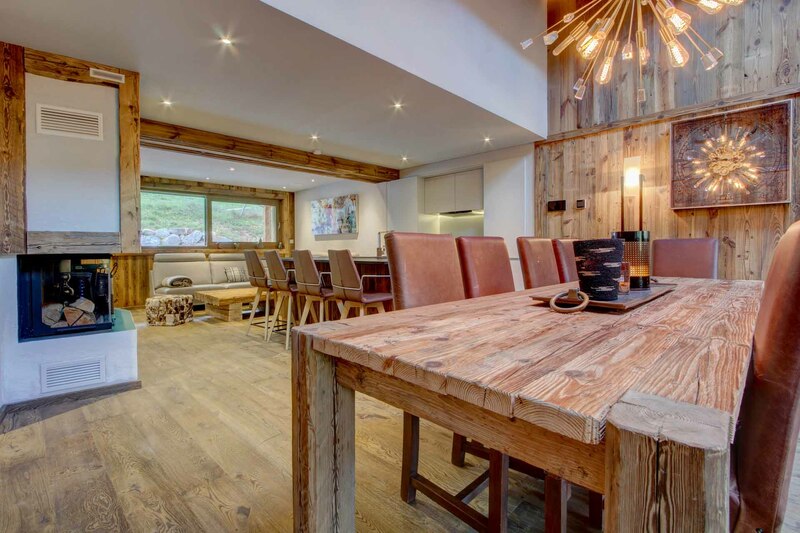 The dining area sliding doors open up to a balcony looking over Morzine village. 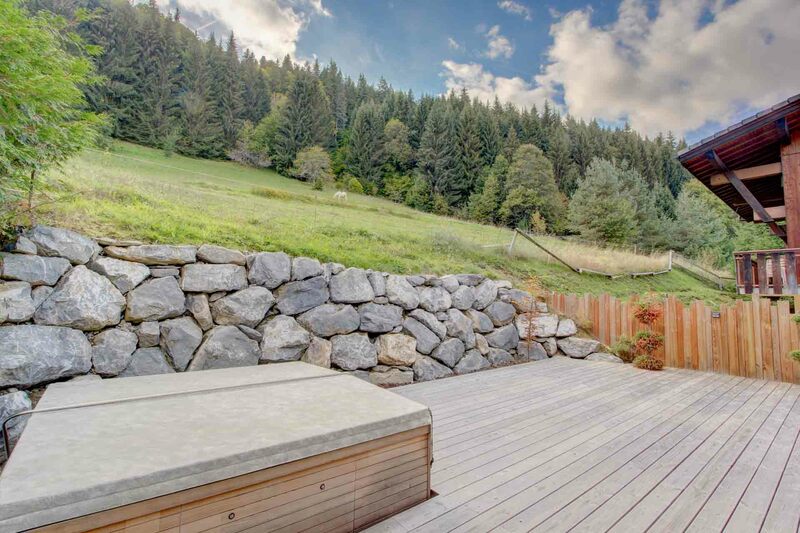 To the rear of the chalet, there is a large patio terrace with a 12 man hot tub facing the Pleney and mountain forest. 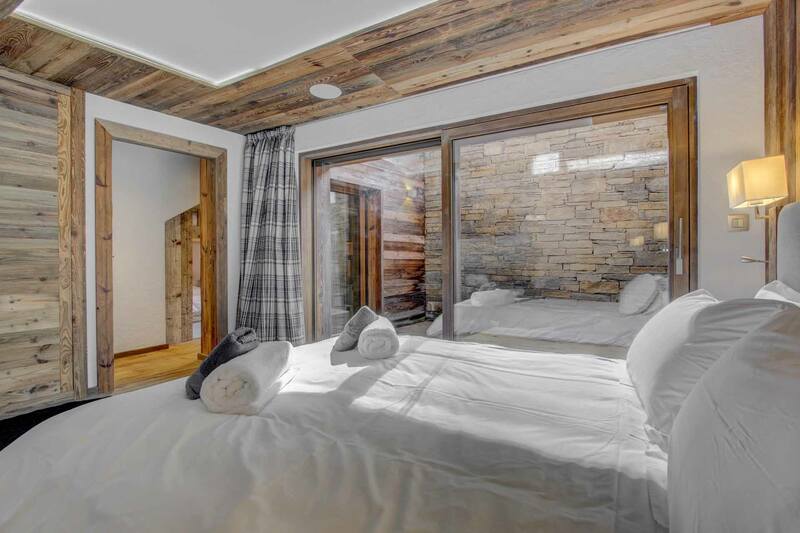 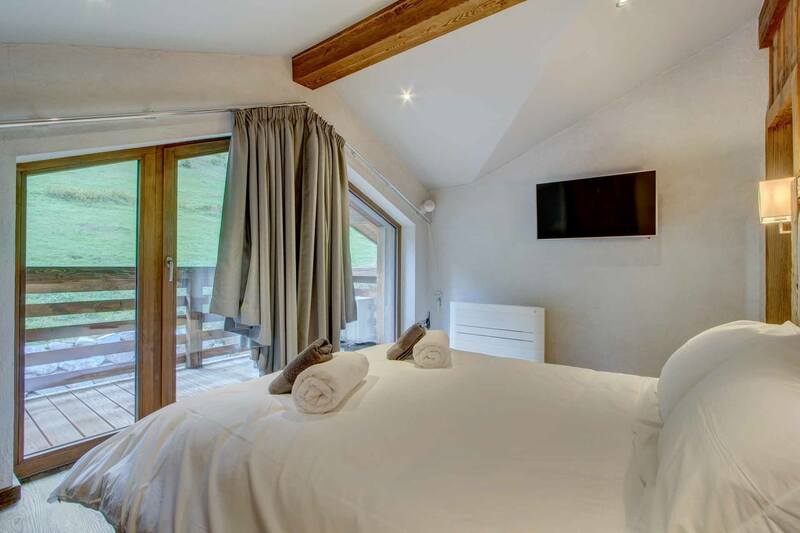 The master bedroom which is located on the third floor has a luxury bathroom, walk-in wardrobe and its own private balcony facing the mountain. 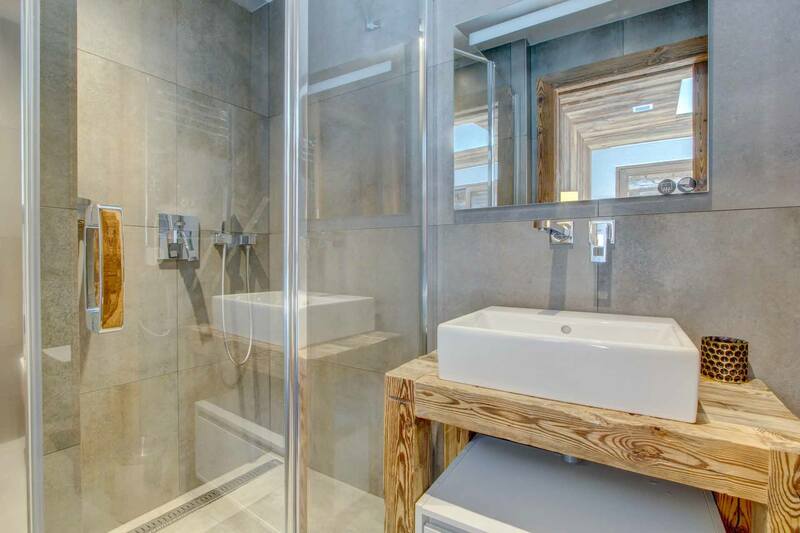 The other three bedrooms are large with their own ensuite shower rooms. 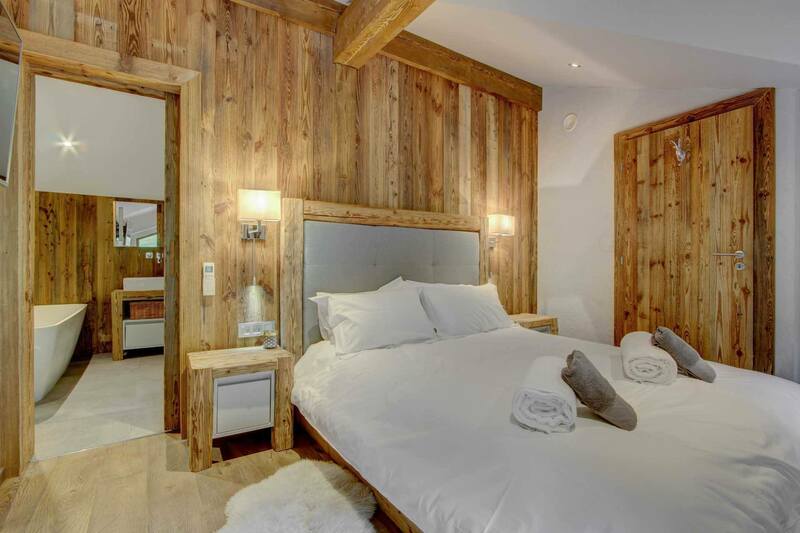 Bedroom one on the second floor is a family room. 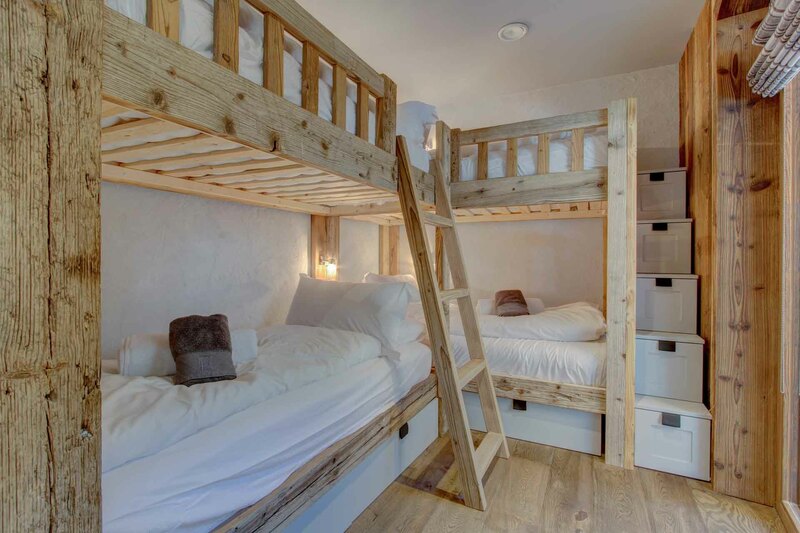 It has an ensuite bathroom and a door that leads to a small 4-bed bunk room/bedroom 5. 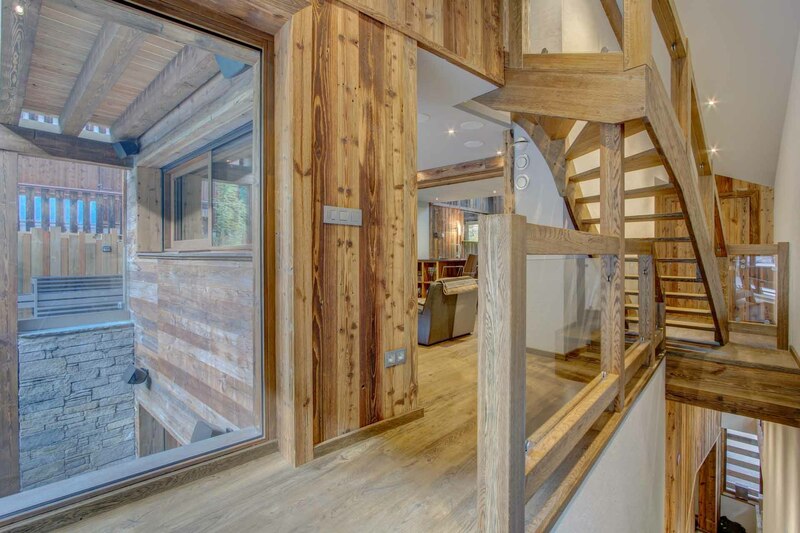 The large sliding door opens on to a beautiful Atrium.